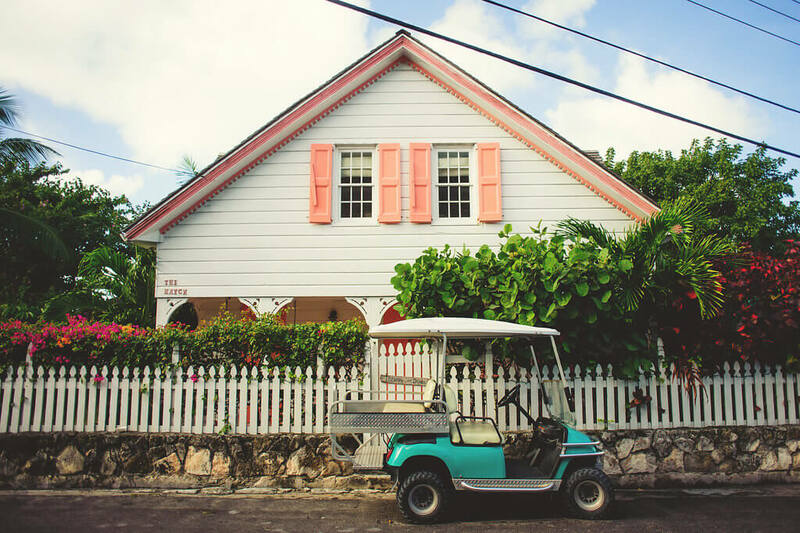 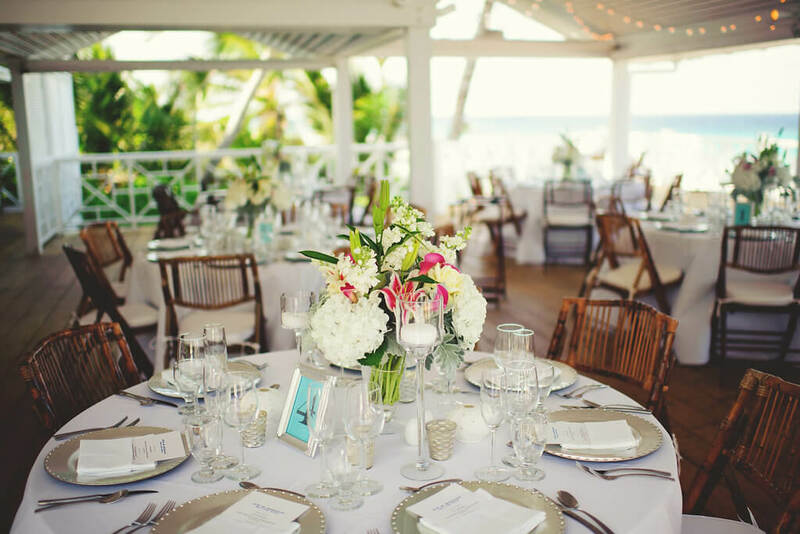 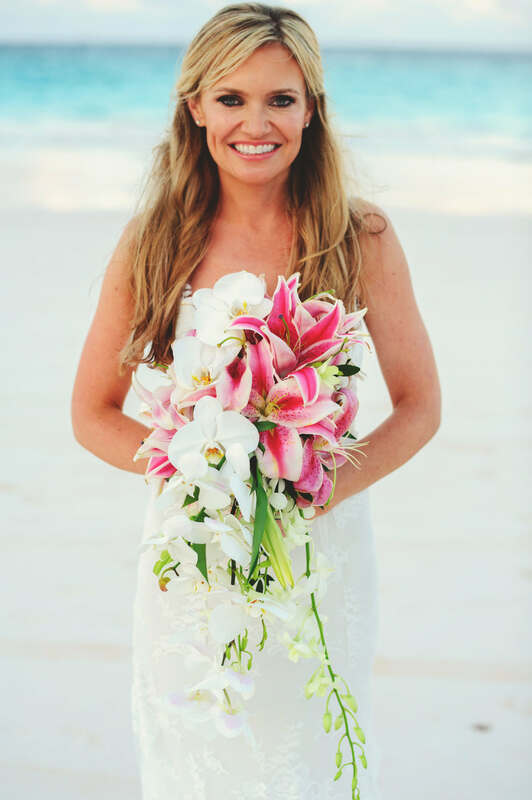 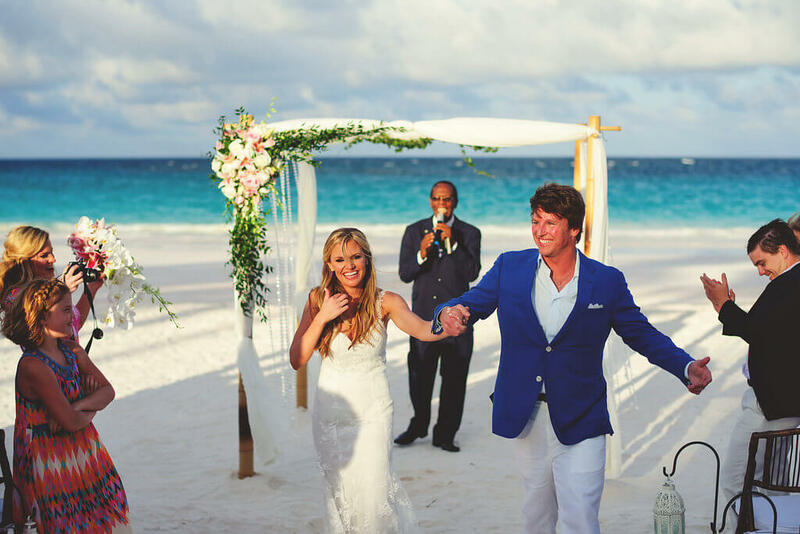 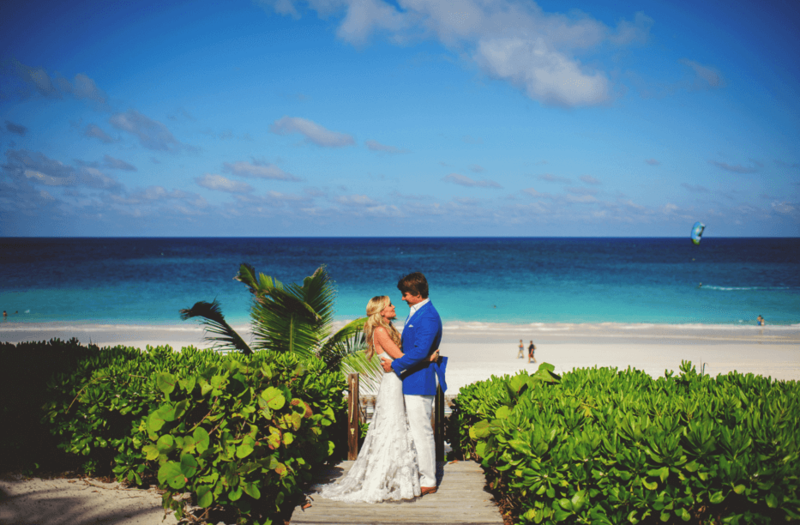 With its’ exquisite pink sand beaches, bright turquoise water and lush green palms, this Harbour Island wedding is absolute perfection! 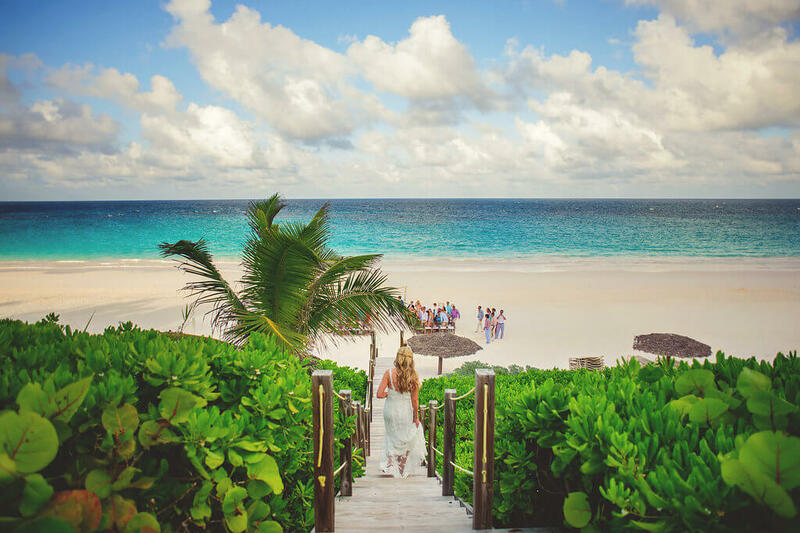 Allison and CT had been here several times together and when they got engaged, they just knew this is where they needed to say their vows. 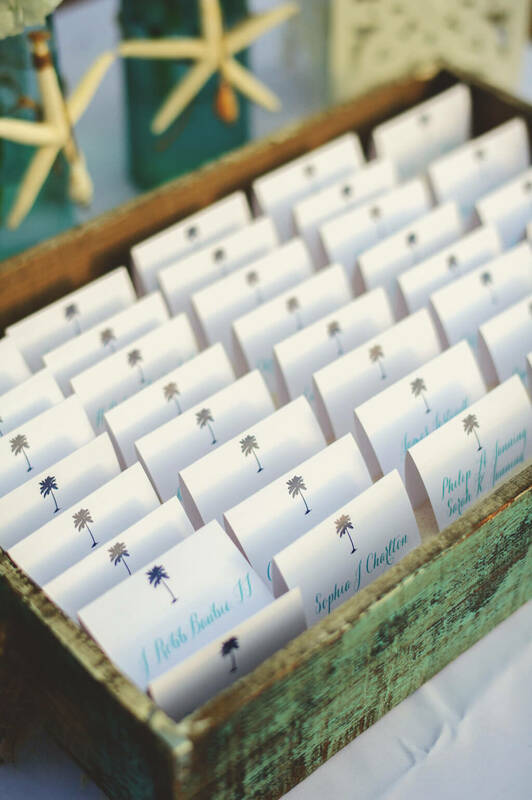 For the invitations, Allison wanted something mailed in a box since her guest list was small and this was a special place for guests to make the effort to travel to! 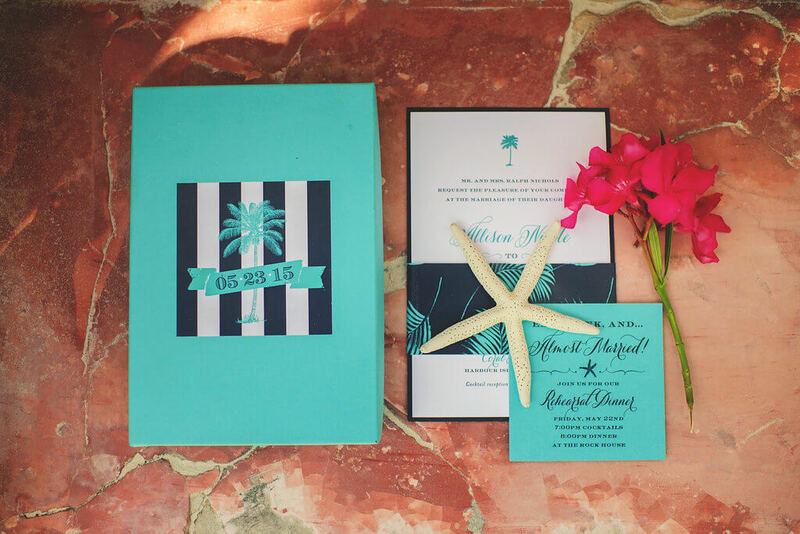 For these Harbour Island wedding, we did a 2 color letterpress invitation in navy and turquoise. 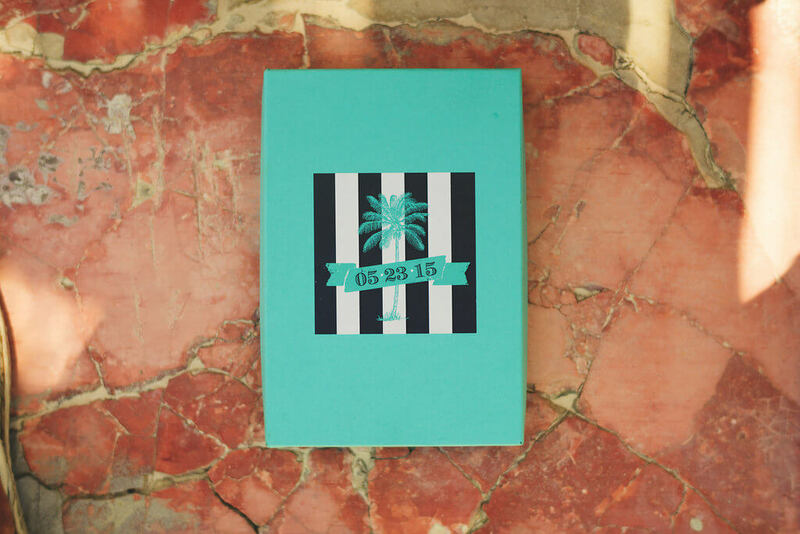 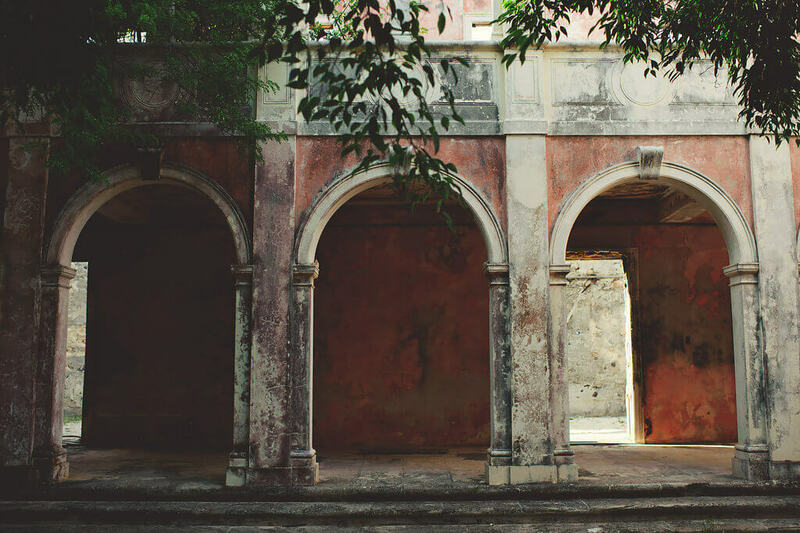 They were mailed in a coordinating turquoise box. 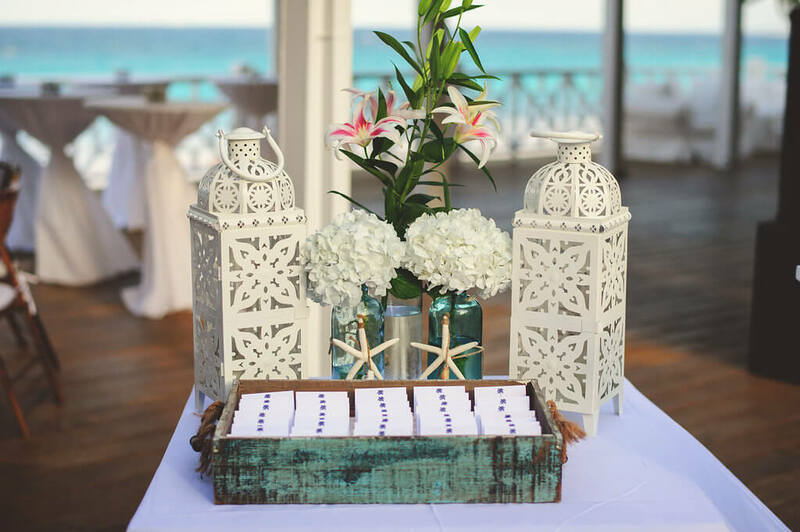 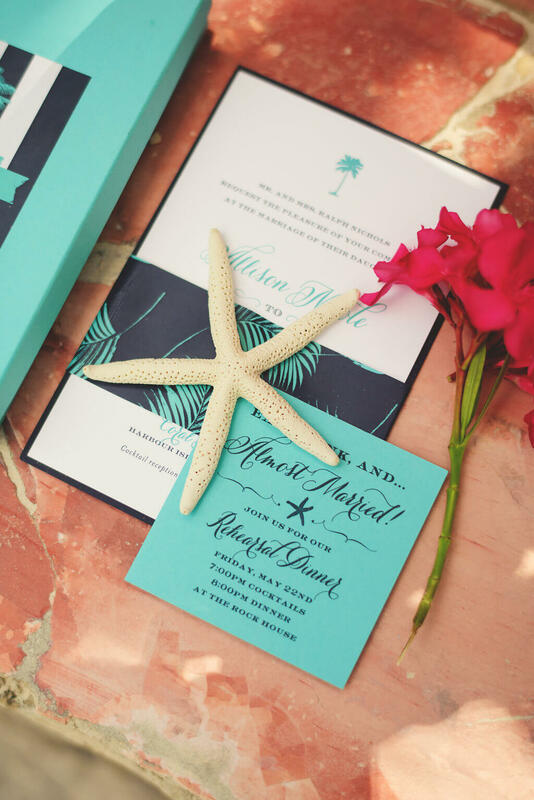 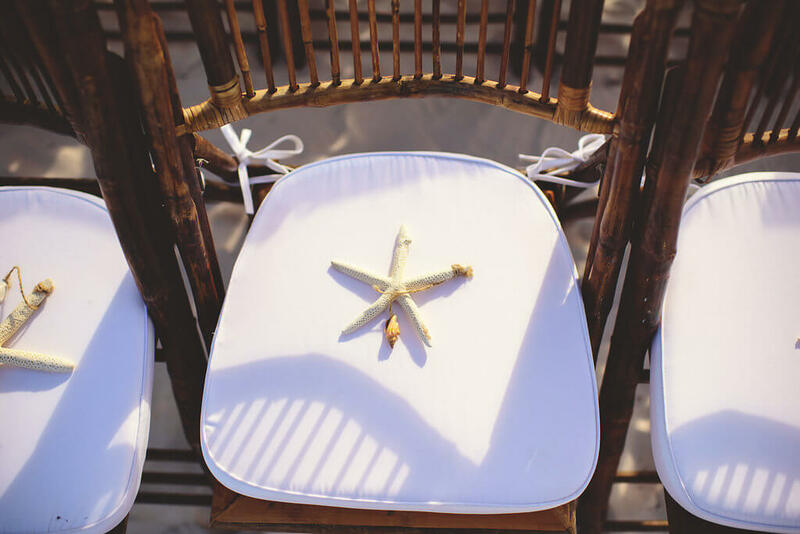 Each invitation was sealed with a chic palm leaf pattern band and topped with a real starfish to exude that beachy, Harbour Island wedding feel! 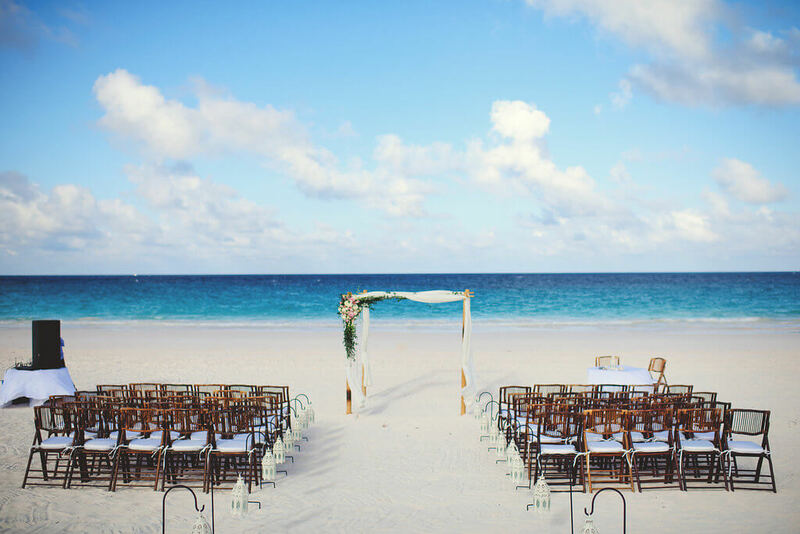 The ceremony was of course casual and on the beach. 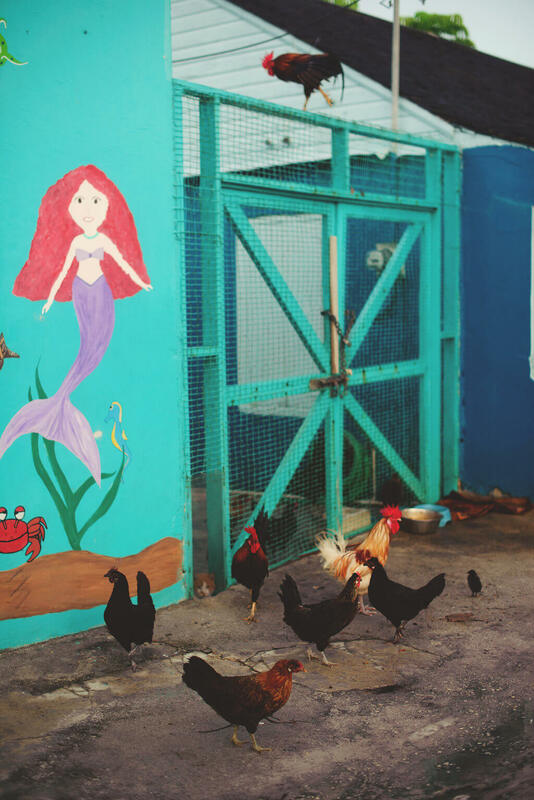 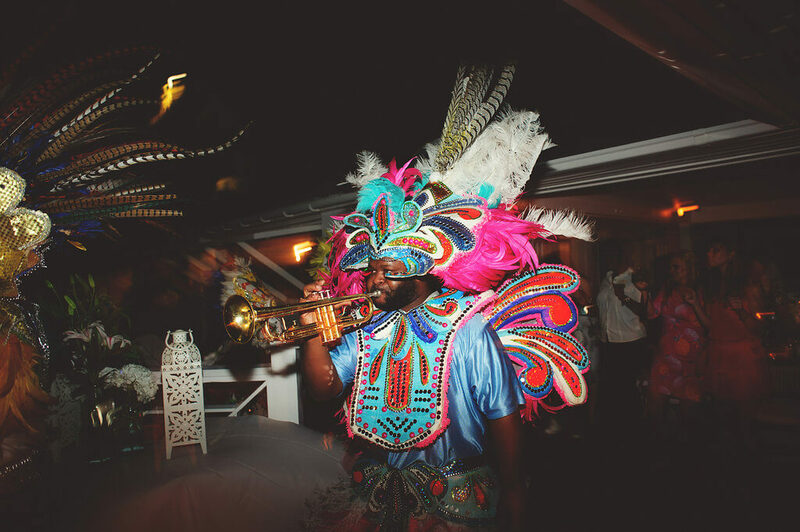 Guests danced the night away under the stars to a traditional Junkanoo Band at the Coral Sands Resort. 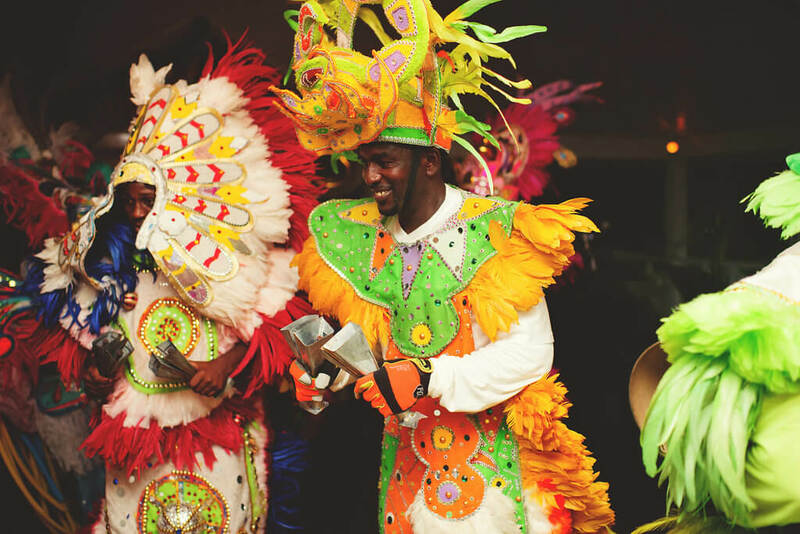 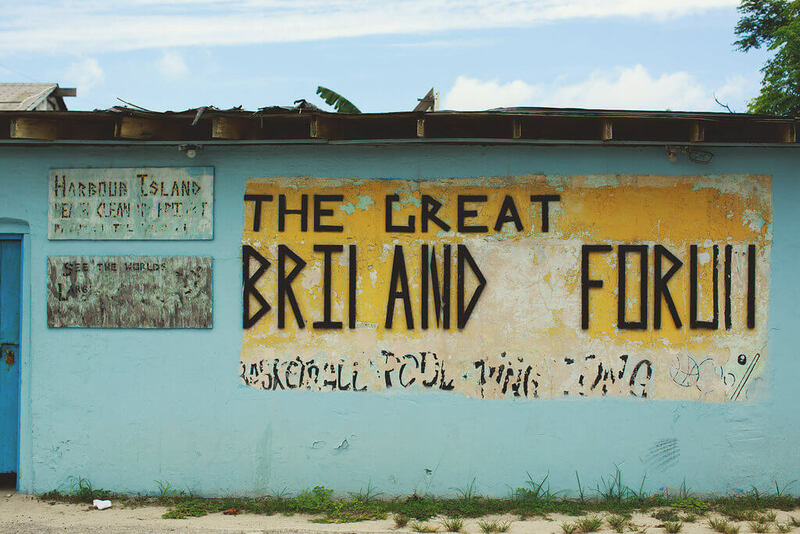 This flamboyant and traditionally Bahamian marching band is one that Harbour Island weddings know well! 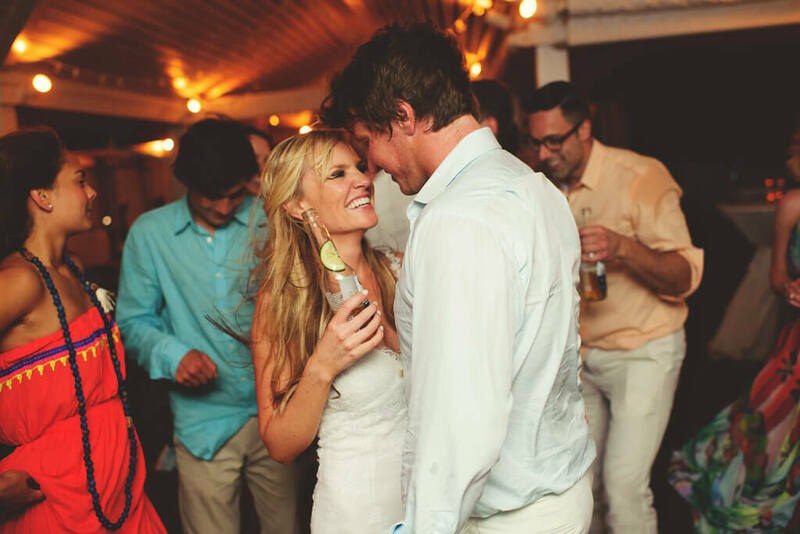 Not only do these bands make for great photos but they wow the wedding guests beyond belief. 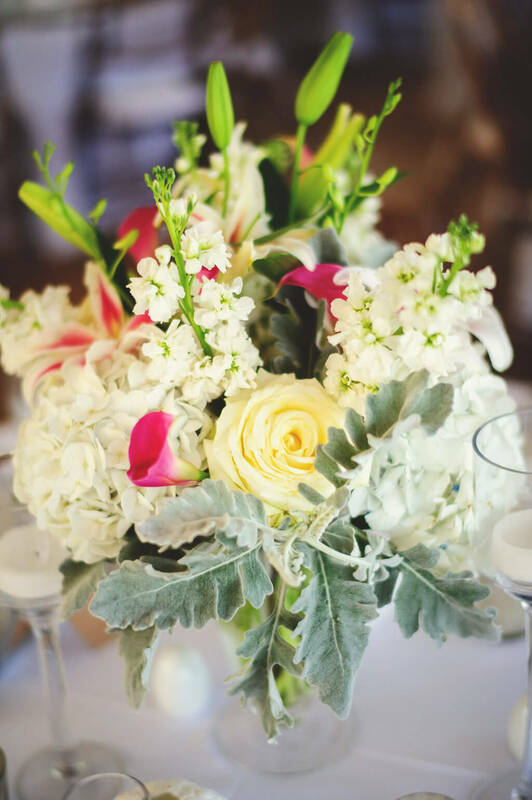 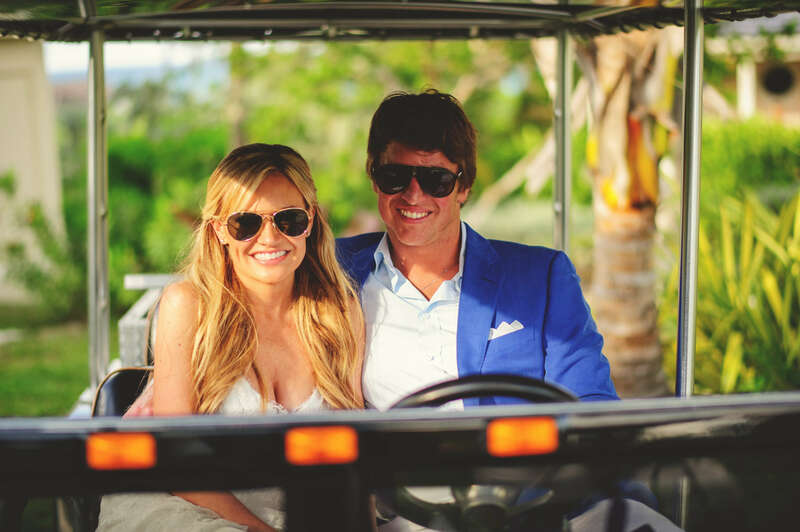 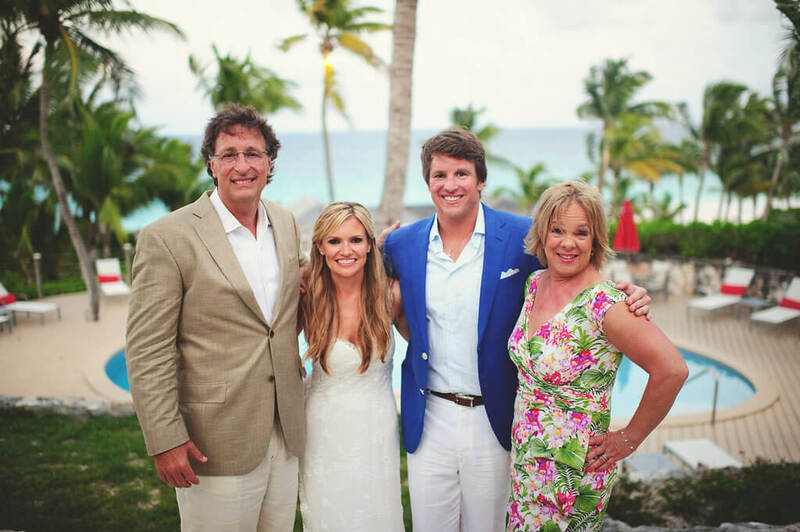 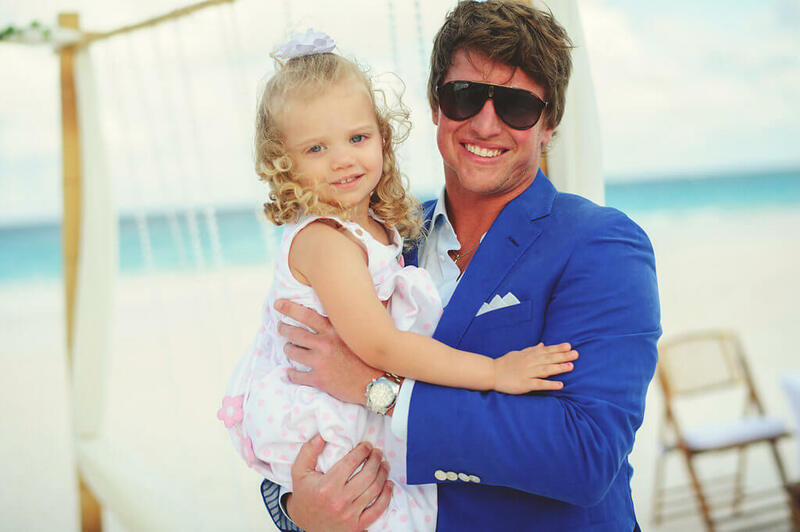 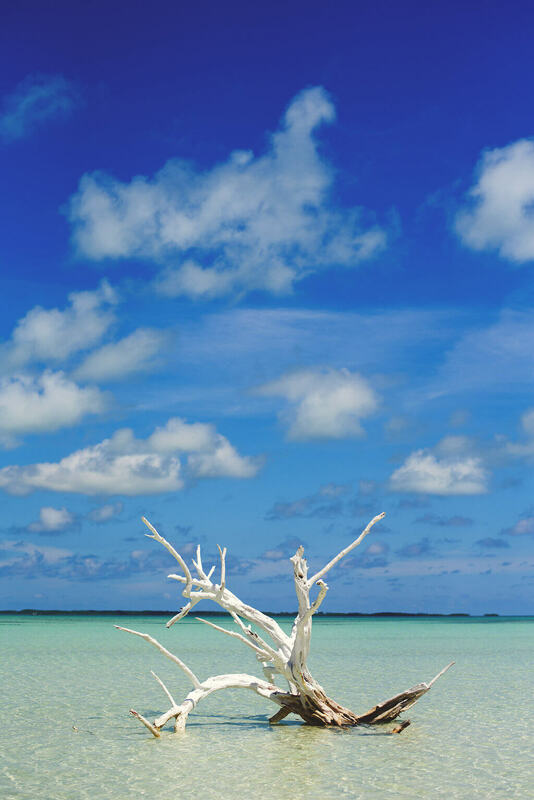 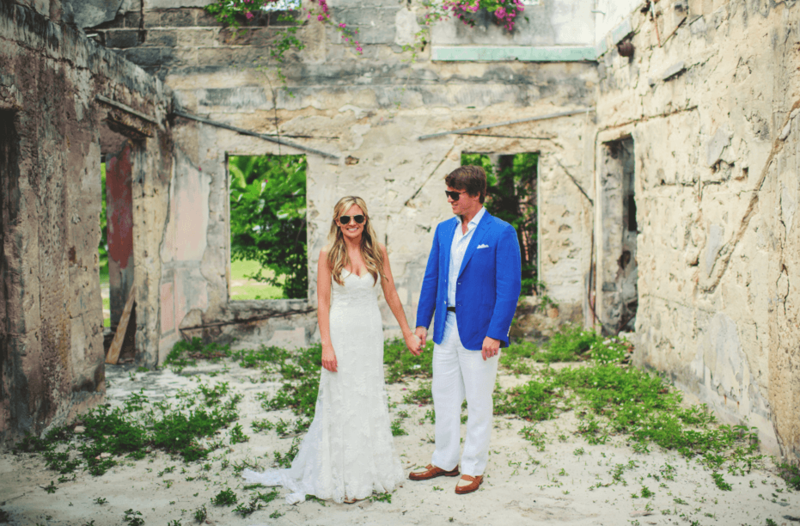 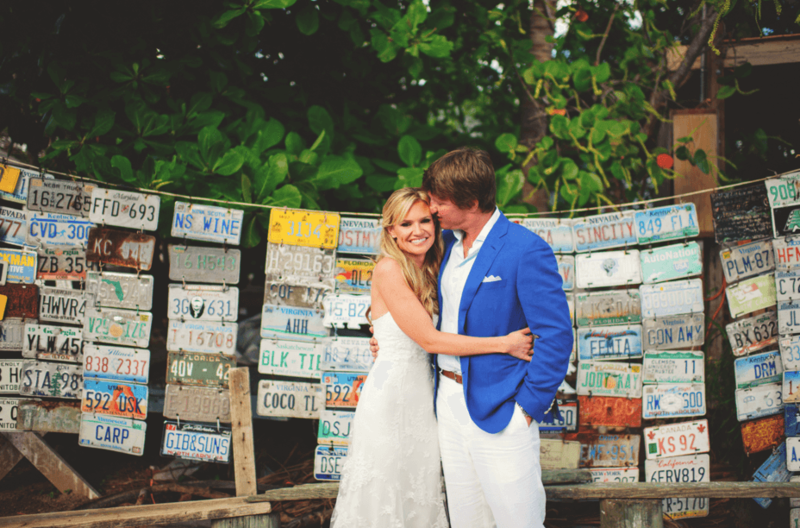 This Harbour Island wedding is one for the books for sure!